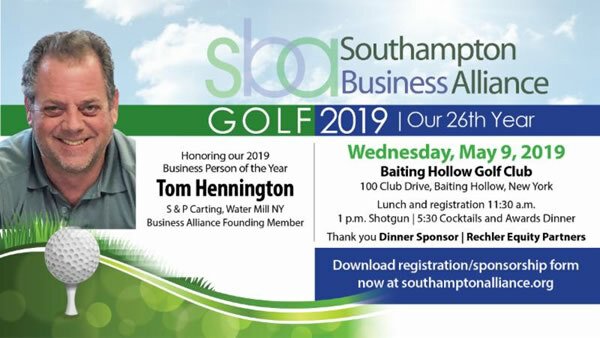 Please join us for an evening with wine and hors d’oeuvres featuring Southampton Business Alliance past Business Person of the Year Rocco A. Carriero. Rocco is a ForbesBooks Author, 20+-year Business Alliance Member, Southampton Town resident and local business owner. He will discusses his new book published by ForbesMedia, “The Three Cords Approach to Life & Wealth Management for Business Owners”. In addition to the book discussion, we will be having various other local businesses share their perspective as to what we are seeing for the local economy for 2019. All guests will receive a personally signed copy of Rocco’s new Forbes Book. 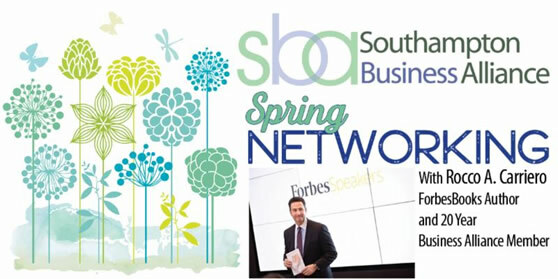 Click here now for more into and to register for your free tickets! March 18, 2019 PATCHOGUE, NY – Today, Congressman Lee Zeldin (R, NY-1) once again called on the Department of Homeland Security to raise the H-2B Visa Program cap and reform the H-2A Visa Program to ensure local businesses have the adequate workforce they need ahead of the upcoming peak season. Seasonal visa programs allow employers to supplement their current workforce by hiring foreign workers on a seasonal basis. These foreign workers come to the United States legally and pay taxes filling jobs not already filled by U.S. employees in areas of labor shortage. “Across Suffolk County, there are many businesses, that rely on seasonal workforce visas, and I am committed to finding a long-term solution that provides certainty and stability for the employers who rely on this program,” said Congressman Zeldin. “It is a great problem to have when our local economy has more available jobs than people available to fill the positions, but it is imperative our employers are able to somehow fill their work force legally and immediately. Congress’ most recent funding legislation, which failed to include a long-term solution for the H-2A or H-2B Visa Program, was a missed opportunity. With the U.S. Citizenship and Immigration Services having already notified employers the 66,000 visa cap has been reached for the second half of the year for H-2B, there was widespread consensus on the need to provide assurances for local businesses as we approach peak season. Whether its voting in favor of H.R. 244 to provide the authority for the DHS Secretary to increase the visa cap or in favor of the returning workers exemption for H-2B in H.R. 2029, the Congressman has shown his continued support of the program and commitment to engaging with Congressional leadership and the administration in an effort to find a long term solution. This year and last year, Congressman Zeldin urged DHS Secretary Nielsen to lift the cap on H-2B visas using the authority he voted to provide the Secretary. Additionally, he cosponsored the Securing America’s Future Act (H.R. 4760), which included reforms for H-2A, which hasn’t been reformed since 1986. Our latest 2-house workforce housing project is now home to two happy families! On March 6, 2019 new homeowners Stacey DiStefano and James White Jr., along with their two children joined members of the Business Alliance, the Southampton Town Board and Town Staff and the Long Island Housing Partnership at the Tuckahoe Woods homes on Moses Lane and Magee Street to formalize the project’s completion. Photos by Dana Shaw of The Southampton Press. Above left, Supervisor Jay Schneiderman, Southampton Town Director of Housing & Comm. Development Diana Weir and Southampton Business Alliance Executive Director Sheryl Heather. Above right, the DiStefano-White Family cutting the ribbon.